125 years ago: In August 1886 the Academy adopts a new two-term school year. The first term runs from early September to mid-January and the second term begins mid-January and ends in June. The switch from the old four-term school year is aimed at stabilizing enrollment. 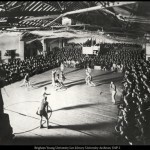 100 years ago: Basketball is an extremely popular sport and fans pack the old Men’s Gym for home games. 75 years ago: In 1936 head football coach Ott Romney retires, leaving the university after compiling a 42-31-5 overall record. 50 years ago: Begun in 1959, the J. Reuben Clark Library building—with five floors and 205,000 square feet—is completed and occupied. It firmly establishes the location of the university’s library and eventually is renamed the Harold B. Lee Library. 25 years ago: Fund-raising efforts begin for the Museum of Art. 10 years ago: Royal J. Skousen (BA ’69) completes his decade-long project of creating “typographical manuscripts” of the original Book of Mormon manuscripts. 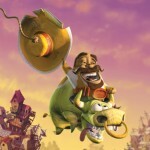 The ensuing publication is titled The Printer’s Manuscript of the Book of Mormon: Typographical Facsimile of the Entire Text in Two Parts. 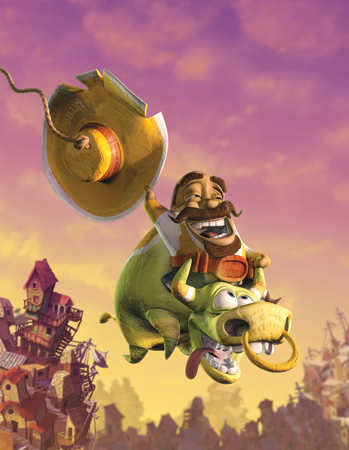 5 years ago: Students in the Animation Department complete the animated short Las Piñatas and their work is honored with a College Television Award (a “Student Emmy”) from the Academy of Television Arts & Sciences Foundation the following year. 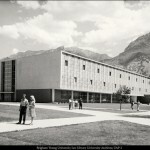 Web: Read more about BYU’s history on the University Archives blog at lib.byu.edu/sites/byuhistory.